SLAM: Last month, you were involved in a three-team trade that sent you from Minnesota to Houston. How did you find out you were being traded to the Rockets? 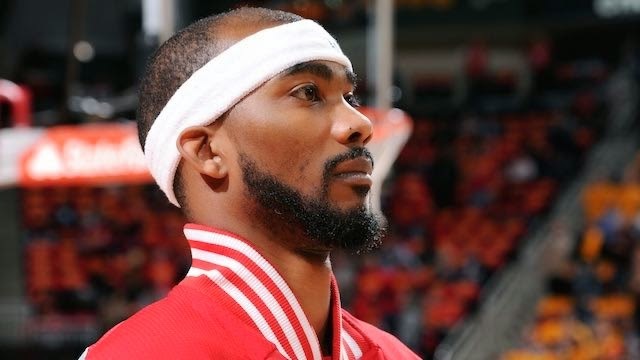 Corey Brewer: I first started hearing rumors for about a month that I might get traded to either Cleveland or Houston. But I didn’t really think about it because I’d been traded before. Then it finally happened. We were supposed to play Boston, but while I was getting ready for the game I found out I got traded. I wasn’t shocked because I knew they were trying to move me, I knew they were trying to get more time for the younger guys in Minnesota. So I didn’t necessarily mind being traded, so long as I went to a contender. But lucky for me, I ended up landing in Houston. SLAM: During your first 17 games in Houston, you’re coming off the bench averaging 11.5 points in 24 minutes to go along with two assists and two rebounds. You’re also a key part of a reserve nucleus that includes Josh Smith and Jason Terry. Can you talk about your relationship with those two guys in particular? CB: We have a good relationship, me, Josh and JET [Terry]. I played with JET in Dallas when I was younger, and I actually learned how to come off the bench from him. I used watch what he did. Then when I went to Denver, I tried to take what he used to do, the mindset—come in, be aggressive, and just play your game—when I was coming off the bench there. So it’s great being back with him, and Josh is great too. It’s a great situation for him coming to play with us, just because there’s no pressure and we can all just come in and play our game. With us coming off the bench, I feel like we bring a lot to the team. We all can score, we all pass, we all play together, and I think we make our bench really good. SLAM: What does that mean exactly, to learn how to come off the bench? What are some of the things Terry taught you as far as that role is concerned in the League? CB: You have to have the mindset and understanding of what you bring to the team. I know what I bring to this team—I have to come off the bench and get transition baskets. I have to try to pick up the pace, become more consistent knocking down open threes. I’ve had some good games, but I need to be more consistent. So that’s my goal, when Playoffs get here I got to be able to knock down the open shots for us to be most effective. With those guys on the court, then with James and Dwight out there, there’s a lot of open shots. My mentality is go out there and help the team any way I can when I come off the bench. You can kinda see what’s going on when you come off the bench; if you need to pick up the pace, slow it down, do different things. It’s fun coming off the bench when you’re on a good team because you have a chance to help the team win every night. SLAM: Kevin McHale is a coach you’ve played for before in Minnesota and he just went out and traded for you. What does that mean when a guy who knows you like that wants you on his team? CB: Me and Coach McHale have a great relationship. It meant a lot to me for him to trade for me. He actually told me he’d been trying to trade for me for a couple years. But McHale drafted me as the general manager when I was with Minnesota. It was tough when he left because he was my guy. Then they brought in David Kahn and I wasn’t a David Kahn guy so I knew I was about to be out of there the first time [Laughs]. But Mac’s great, and he knows how I play and I understand his system, so that’s why I think I fit in pretty well here. SLAM: What has it been like to be dropped into the playoff mix in this very challenging Western Conference? CB: This is what it’s all about, man. I feel like when you play basketball, it’s all about trying to win a championship. I feel like we have a lot of pieces over here in Houston, we have a chance to contend. So for me, to go from not having a chance to get into the playoffs—zero percent—to trying to play for a top-four seed and home court advantage, it’s crazy. SLAM: How good is James Harden playing right now? And how important is it to have a big like Howard come playoff time? CB: James is playing great, he’s probably the best scorer in the NBA right now. If not, he’s top-three for sure. When you play with him, he’s so explosive you get so much easy stuff. It makes the game easy. And Dwight, he’s so dominant. You can be more aggressive defensively knowing that he’s behind you. He’s so big and so talented, it means a lot knowing he’s behind you to block shots. SLAM: You’re known as a guy who brings a defensive presence to the perimeter. Growing up, who are some of the perimeter defenders you looked up to or watched in the League? CB: I was a huge Scottie Pippen fan. I used to also love Clyde Drexler—”The Glide” was the man. But then when I got older, I watched a lot of film on Michael Cooper. People used to tell me I played like Michael Cooper. But growing up, I was a big Scottie Pippen fan. CB: That’s Coach Donovan and his system, it translates to the NBA. And we also have Mo Speights who’s having an amazing year, David Lee, Matt Bonner just won a championship, Mike Miller’s with the Cavs. There’s a lot of Gators, I just feel like the system really translaes. 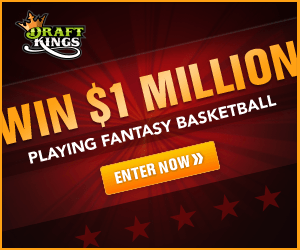 SLAM: How are things going with the Corey Brewer Foundation, any events coming up in Houston to keep an eye on? CB: Yeah most definitely in the summer. We’re just starting planning for those. Our goal is always the same, to find a cure for Diabetes. It’s something that means a lot to me and my family and I am looking to do more things in Houston community now that I’m here. It’s all about trying to find a cure and making sure people get checked out, it’s really important.